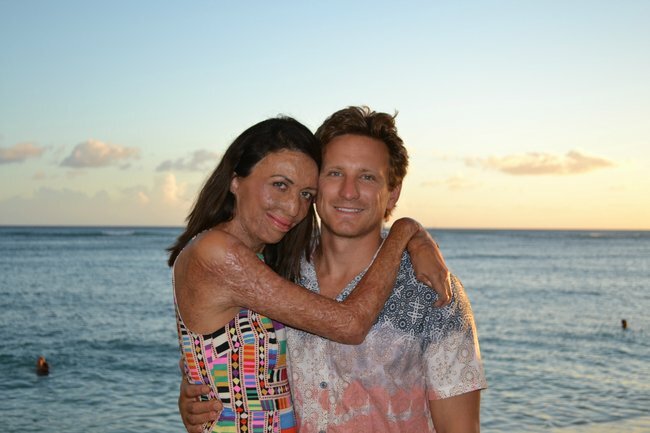 Turia Pitt Good Selfie: Turia noticed a trend amongst teens, so took action. If you follow Turia Pitt on social media or have watched or listened to her being interviewed over the years, you’ll know that as well as being truly inspirational and resilient, she’s also darn well hilarious. Which is why we’re so excited about her latest project. Since surviving the 2011 bushfire which left her with burns to 70% of her body, Turia has not only undergone a gruelling recovery process (which involved learning to walk again), she’s also written three books, completed two ironman challenges and has helped more people than we could ever put a number on by sharing her story. But Turia still remains humble to the point of being self-deprecating, “I don’t think there’s anything inherently special about me,” she told Mia Freedman when she sat down for the latest episode of No Filter. Here’s what Turia had to say when she sat down with Mia Freedman for No Filter. Post continues. Turia has now set her sights on helping teens. She’s just released a book which aims to teach teens confidence, Good Selfie, and we can’t think of a better advocate. There’s no doubt motherhood has changed her. Turia gave birth to son Hakavai who she shares with long-term partner Michael Hoskin in December 2017. Explaining the reasoning behind Good Selfie, Turia told Mamamia: “As a parent you want your kids to be happy. But I know it’s not realistic that Hakavai is going to be happy all of the time, because of course he’s not going to always get picked for the sports team or maybe he’ll have his heart broken by a girl – all of these are very normal challenges that we face. Spend two years lovingly creating a book for teens, filled with all the lessons you hope to pass on to your baby boy as he grows up. Baby boy casually peruses the finished product for a few minutes before promptly discarding it on the floor with the remains of his lunch. Ahhhh, the circle of life, hey? I hope your teens love Good Selfie more than the guy who inspired it ???????????? Turia says since she first shared her story, she’s been consistently inundated with questions from kids, and she noticed a common theme within the questions: How do I build my confidence? The book itself is full of strategies and Q&As and Turia’s inimitable voice is a big part of what will make Good Selfie relatable to teens. “I write how I talk,” Turia told Mamamia. One strategy Turia uses herself to achieve goals is setting ‘Champies’, a word she invented. “Whenever you start talking about goals, you can see people just switch off, they just shut off,” she explained. “And it’s kind of like ‘urgh, I’ve got to set a goal then I’ve got to achieve that goal’ – it’s not very appealing. So I like to call goals ‘champion quests’, the shortened version being champies. I guess the word champion makes me feel more excited and more energised and more enthused. Turia with her new book. Source: Supplied. She revealed a lot of the strategies in the book were ones she used when she was recovering. For example: Write a list of all the tough times you’ve ever overcome before. "When you look at that list, you realise you already have a lot of resilience," Turia explained. "Resilience isn’t something you’re born with - it’s just you haven’t had the chance to develop. Reflection is something Turia encourages us all to do - no matter what age. “One of my favourite quotes is ‘the only time you should ever look back is to see how far you’ve come’. Even though I’m a really forward-thinking person, I do think it’s great to stop and reflect on where you’re at. For me personally, five years ago, I hadn’t even done an ironman, I hadn’t really written any books. When you revisit the past, you realise you’ve come a long way." Casually finishing an ironman. Credit: Michael Klein. "If you look at the world ten years ago, I don’t think we could ever have predicted social media and all that comes with it," she continued. 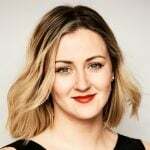 "It [the way we use social media] is going to change and evolve and there’s always going to be obstacles and barriers but it’s our mindset and how we respond to them and approach them. A healthy dose of self-belief and a positive attitude is something we always need to focus on." Turia also thinks social media can be used to our advantage, namely how she&apos;s able to communicate. "For someone like me, because of social media, I&apos;ve had this real relationship with kids and had instantaneous feedback. So I think overall it’s fantastic if you enjoy it responsibly - like everything else in life." 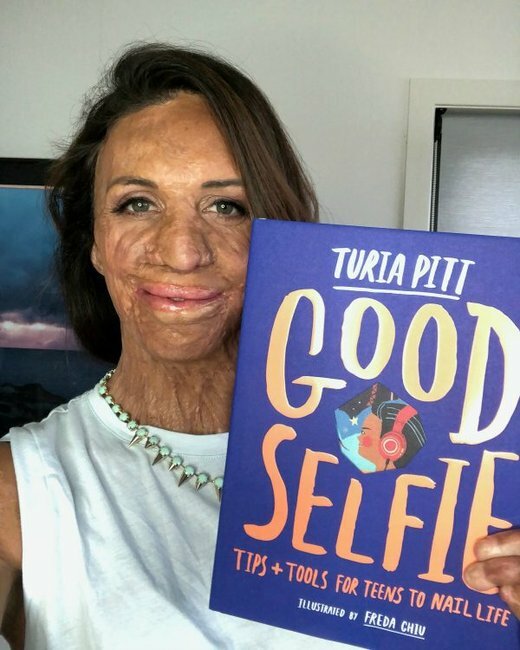 Good Selfie by Turia Pitt is available to buy now. Listen to &apos;Turia Pitt Will Make You Feel Good&apos; on No Filter now.